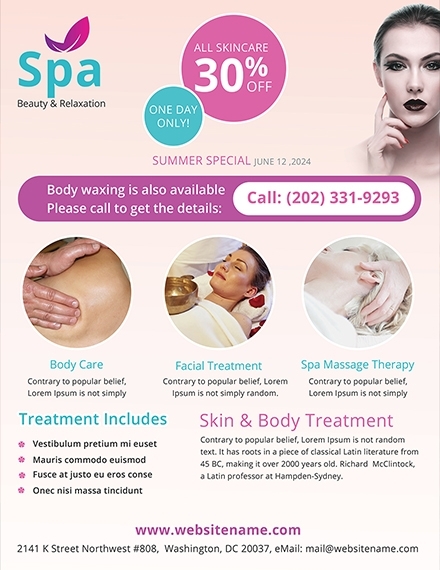 Beauty care centers, salons, and spas know that beauty along with health must be maintained and taken care of. Hence, they provide services relating to these. 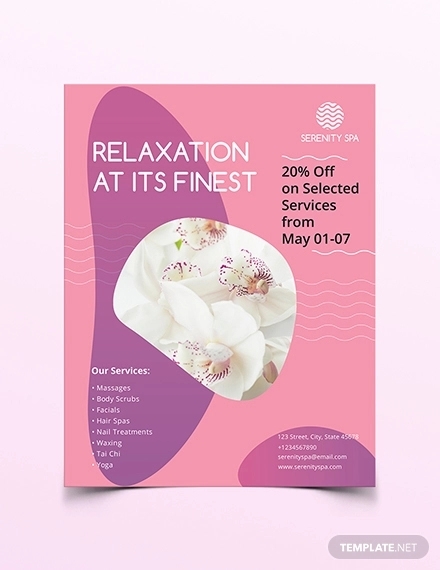 In order to extend the reach of their advertisements, they need to have promotional materials that would help them advertise their offers such as that of a beauty spa flyer. 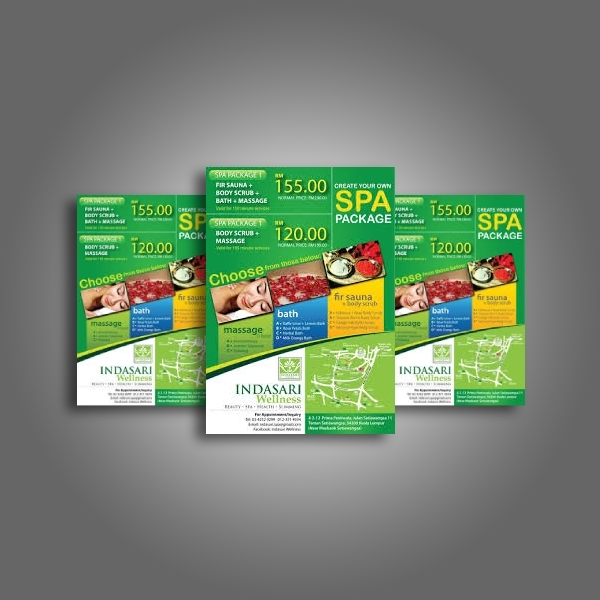 Through flyers, it would be easy for these product or service providers to reach out to their potential clients. 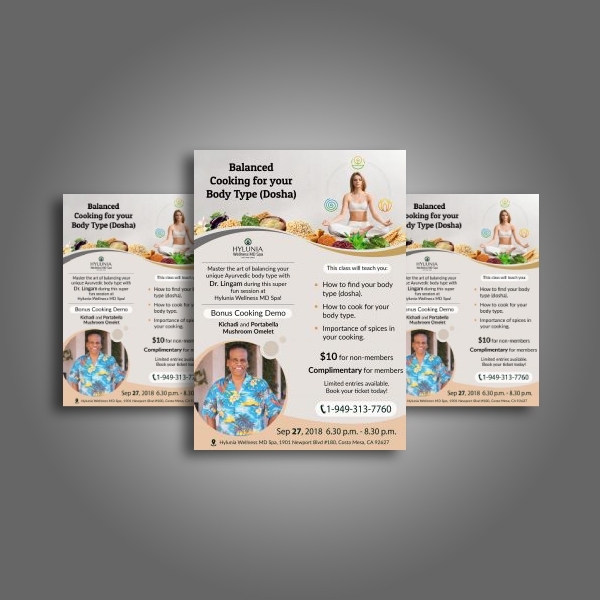 Additionally, flyers are preferred by many due to how easy it is to design and print them. 1. Remarkable headline: It would be so hard for the reader to know in an instant what a small piece of paper is all about without a headline. Your headline must be the first thing that will steal people’s attention. Construct something that would pique their interest and most especially their needs. Hence, your headline must be remarkable and appealing to readers even at first glance. 2. Company and branding: It is important to include your business name not only to inform readers about your company but to start establishing your name in the industry. You may also incorporate other branding elements such as the logo design as this would help people remember you more easily. 3. 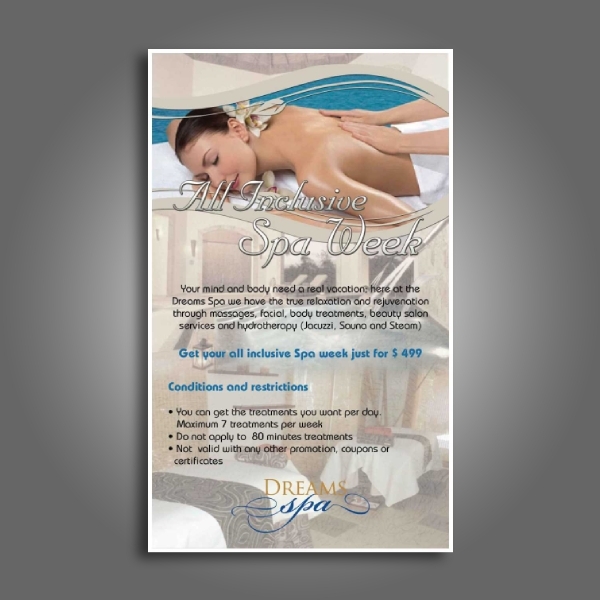 Outstanding graphics: If you want to stand out from the rest, you must include graphics in your flyer. People find it uninteresting to read a flyer overstuff with text. Knowing this, choose illustrations that are related to your brand along with the products or services that you are offering. 4. Products and services offered: When you introduce your products and services, it is important that you specify the problems or issues they can answer or address. Take note that people are not interested in your product rather, about the benefits you can offer. So, include the importance of your products and the reason why they need to acquire your product. 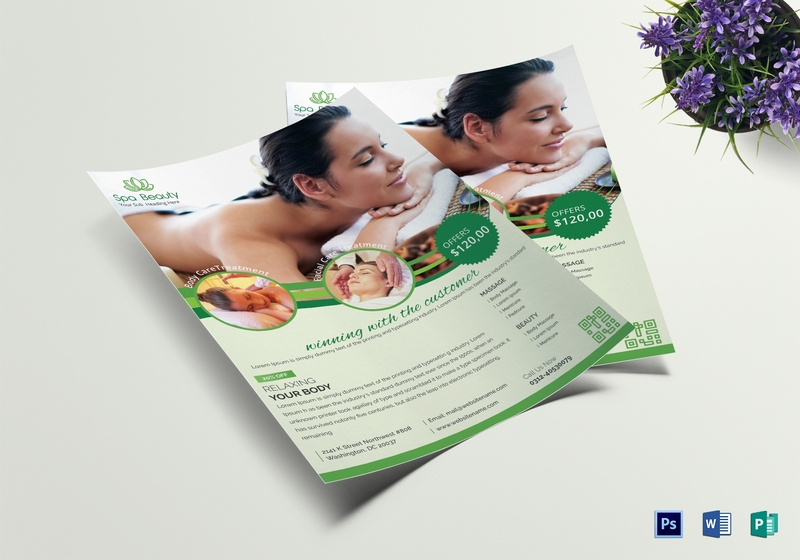 You may also see spa flyer designs. 5. Contact information or address: Apart from introducing your company name, you must also include your physical address and contact information. Do not expect people to look up your company name in Google to know your location. It is your responsibility to specify your address or contact details so it would be easier for people to communicate with you in case they have any questions that they’d want to raise. 6. Call-to-action (CTA): Another thing that you must not miss is the call-to-action (CTA). This refers to a statement in your flyer prompting the reader to take immediate action in response to an offer. CTAs are important because people are unlikely to do an immediate response when given an offer. They sometimes need a soft nudge and a little pressure in order to accept your offer. You may also see flyer examples. 1. Choose an appropriate template: To begin with, you must choose a template that is appropriate and relevant to your advertisement. 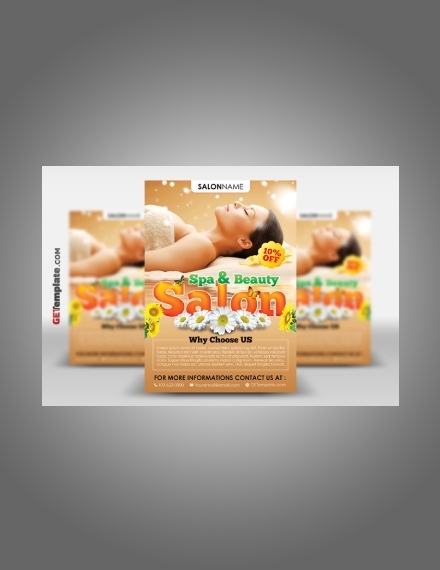 Make sure that people can immediately recognize that your advertisement is related to a spa, health, or beauty upon seeing your flyer. 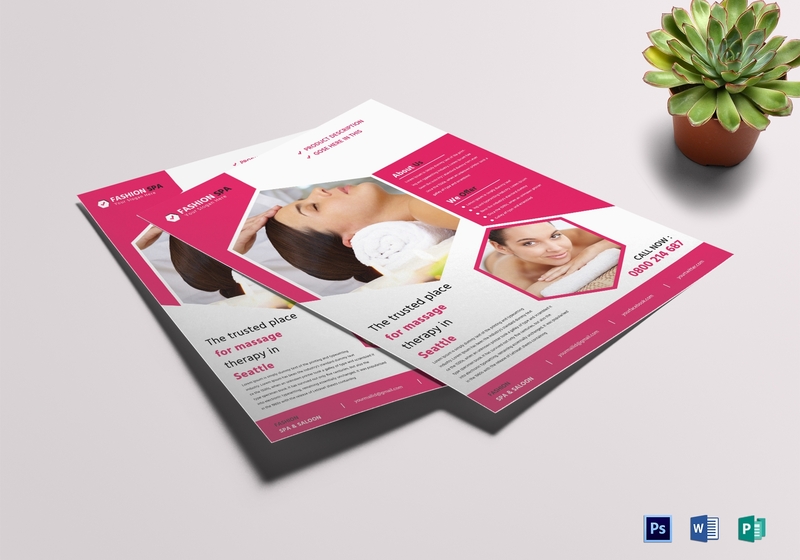 Also consider the personality or characteristics that you want to achieve for your flyer. 2. Incorporate the elements: Always check if there are missing elements or there are anything else apart from the elements that you might want to incorporate into your flyer. For example, you might want to include a side note, short review, or testimony from loyal customers. Make sure that everything is complete and the information you placed is correct. 4. Finalize: It is equally important to review the grammar and spelling of your flyer’s content. See to it that there are no errors because these will greatly affect your promotion. People might doubt the credibility of your business because of such. Moreover, make sure that you have correctly placed your images and that there are no missing graphics because these are the first things that can easily be spotted by readers. Choose appropriate font type and size: For your font type, choose one that is readable enough such as sans and serif fonts. The good thing about these fonts is that they remain readable even when rendered in a smaller size. On the contrary, cursive fonts may seem appealing, but when the font size is decreased, they can be pretty difficult to read. Moreover, choose up to two family fonts for simplicity and elegance. Know the hierarchy of the information in your flyer: You must consider the level of information in each of your elements. Information that is of utmost important must be in a larger font size or printed in bold. You may also enclose them in a box to highlight their significance. Alternatively, you can use bullets to enumerate or breakdown large information. 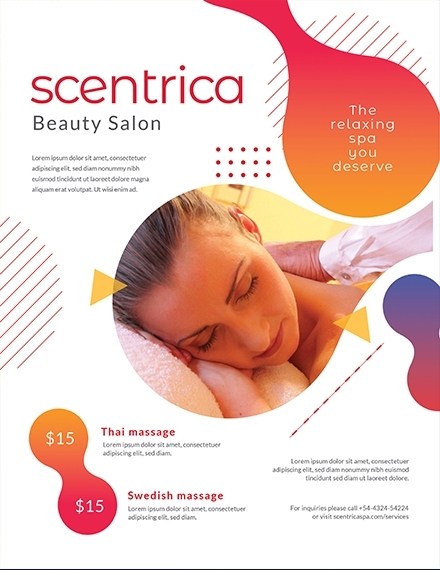 Choose relevant graphics: The graphics and illustrations that you incorporate in your flyer must be relevant to what you are advertising. This would make it easier for prospects to understand what you are talking about in your ad thanks to the images that complement it. 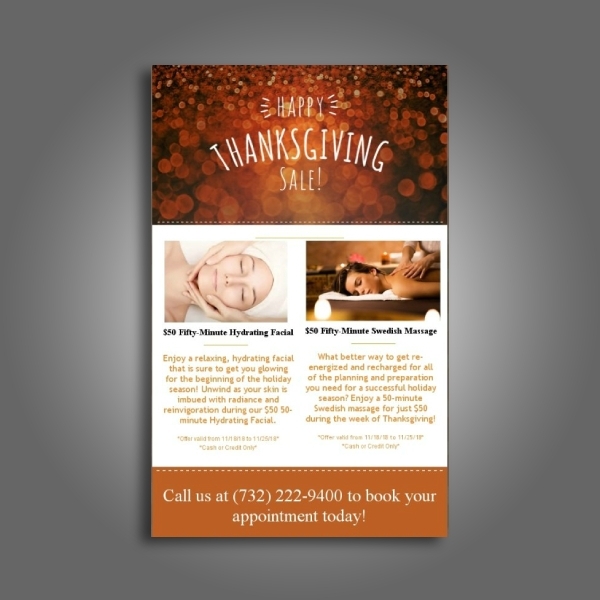 Set an appropriate margin: Adding a page bleed is important when it comes to designing a business flyer. This pertains to the area that goes beyond the edge where the sheet will be trimmed. Include white spaces: White spaces are important in every design that you create. White space or negative space refers to the space in your page that is left blank or unmarked. This provides a breathing room for the elements so your design will not appear cluttered or difficult to read. Instead, it can give the page a professional, elegant, and rich appearance. Always incorporate your branding: In whatever promotional flyer you create, it is vital that the flyer contains your branding such as your logo or any mark related to your company. Inculcating into people’s minds your business name will make them more familiar with you, building a level of trust in your business-consumer relationship. 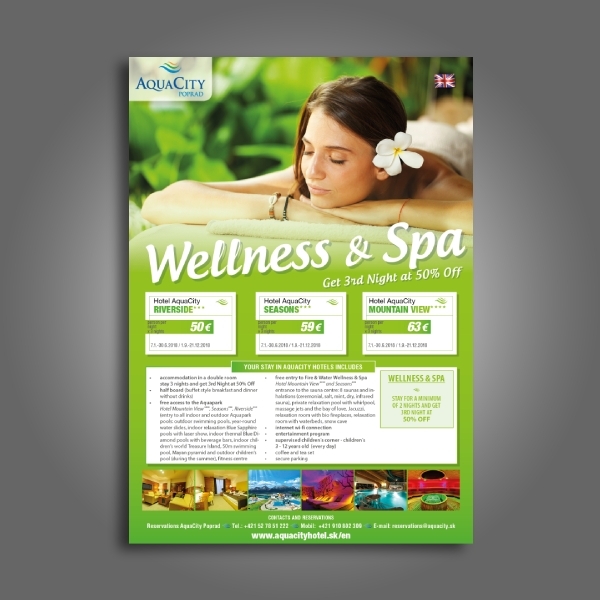 Half sheet (5.5 × 8.5 inches): For advertisements that only require direct and concise words, this size is the perfect fit. Your information must be brief and direct to the point in order for them to fit into the paper. Many marketers opt for this size because the cost of printing is low and there are a lot of printing shops that produce such size. 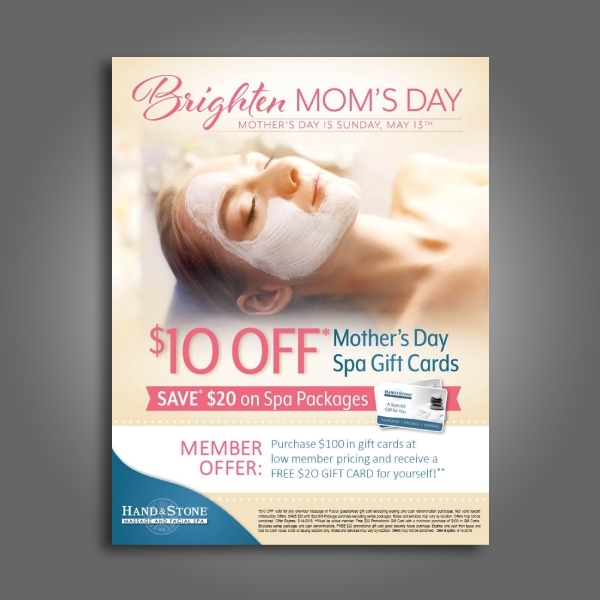 Standard (8.5 × 11 inches): This size is commonly used since this is considered as the industry standard for flyer sizes. It has enough space to contain all the necessary information and elements, which is why it is preferred and used by many advertisers. 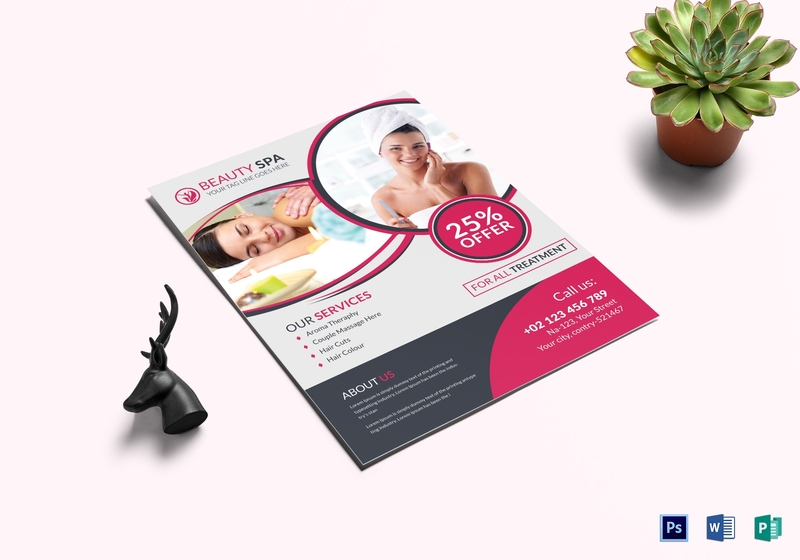 Large Format (11 × 17 inches): There are some flyers that need to be in a larger size in order to hold a chunk of information such as that of price menus, broadsheet inserts, and oversize leaflets. 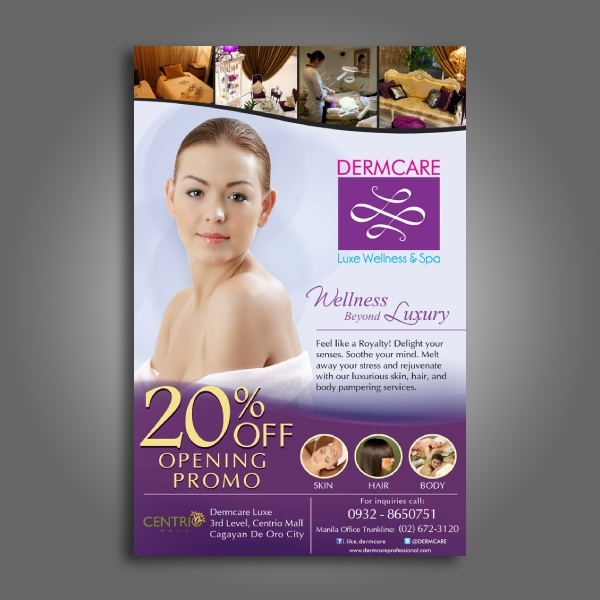 These flyers are commonly folded into multiple panels such as bi-folds, tri-folds, among others.